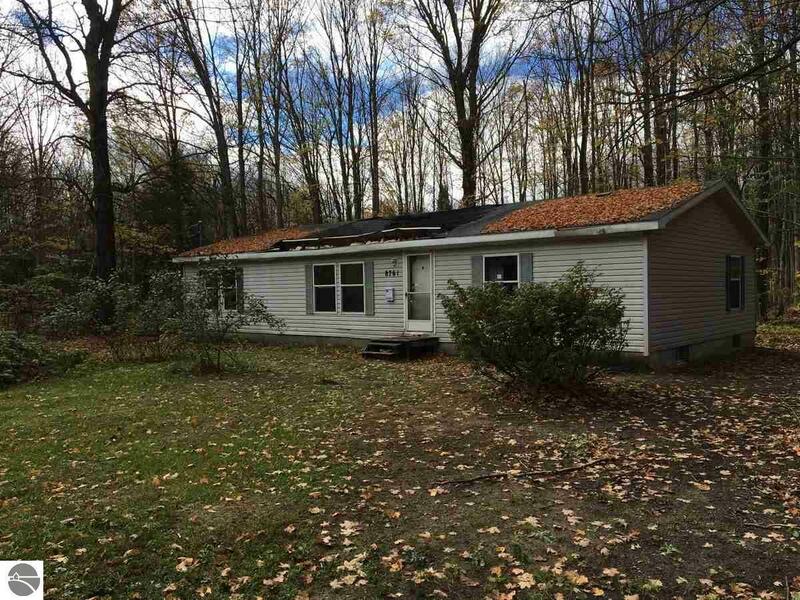 3 bedroom 1 1/2 bath HUD manufactured home on a full basement, on 10 acres of beautiful wooded property in a secluded area north of Kalkaska. The home has suffered some damage, due to a collapsed roof. This is a serious project, not a fixer-upper. The home is bank owned, and can be purchased quickly. The price reflects the condition of the home.